New Associate Dean Andrea Tanner is not stranger to working with honors students. 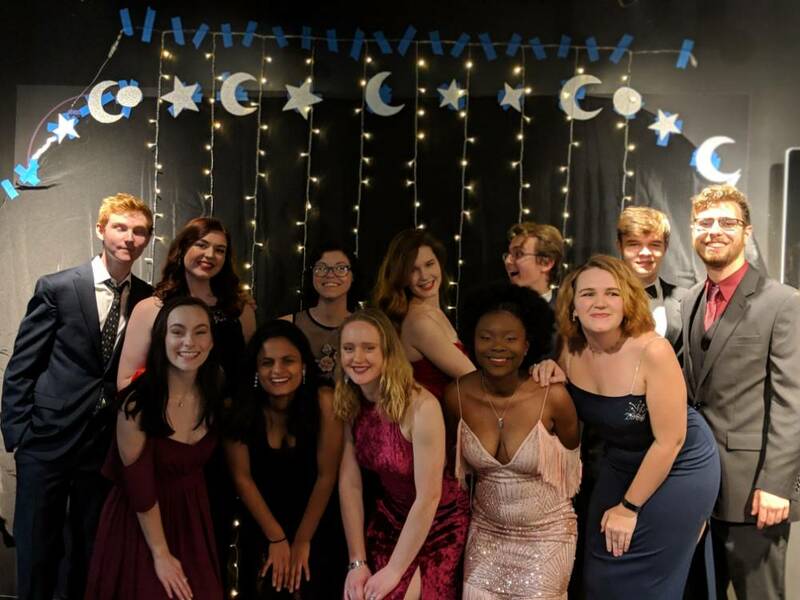 Honors College students came together for a night of fun and dancing. Honors College alumni Tyler Singleton's passion is what's defined her career. Twenty-eight high school juniors and seniors from across the state have been named finalists in the sixth annual South Carolina High School Writing Contest. “We want to focus on things that are conducive to creating a good academic environment and not just studying all the time,” junior Katie Aretakis says. Second-year Honors College student Tyler Quehl wrote and composed the musical, "The Restaurant: Millennial Commentary on Middle America" with the help of student organization Off Off Broadway. Three students from the Charleston County School of the Arts have won first, second, and third-place awards in the fifth annual South Carolina High School Writing Contest. Walter Edgar, one of South Carolina's most-noted historians, will judge the sixth annual South Carolina High School Writing Contest. "I don't think I ever came to this place and not had a good laugh," says Munn Sanchez, a philosophy professor who arrived at Carolina in 1995 to teach logic. This summer, he will leave USC for the Pierre Laclede Honors College at the University of Missouri-St. Louis--this time as dean. "Before every race, there is a moment at the starting line when everything goes silent. Your heart is pounding; your adrenaline is pumping. You look to your left and to your right and you see your teammates, those who will push you further and faster than you could go on your own." Ask Honors junior Emily Fisher about the highlight of her week, and she doesn't even have to think about it. It's her volunteer work with the Waverly After-School Program. Forty-one high school juniors and seniors from across the state have been named finalists in the fifth South Carolina High School Writing Contest. In the Honors community of scholarship and love of learning, one student has learned that sometimes it's through helping others develop their own passions that we can learn the most. Maura Hodge, '04 Honors Business Administration, has been named one of Boston Business Journal: 40 under 40. When Mary-Bryant Charles' Facebook notification popped up that she had been nominated for the Pushcart Prize, her first reaction was a combination of a scream and a squeal. But few can say they've been nominated for a literary prize before the end of their first semester of college.